HELLO! Thank you for stopping by! This is Sweet Life #3! Sweet Life is just a little monthly overview of my progress for the month of November and a chat about my real life… “real real” life? Working with sugar all the time is my real life… trying not to EAT the sugar all the time is also my real life! This month, I get to add working part-time at one of my favorite places to my “real life”… the LIBRARY! Yay me, yay library, yay leaving the house to go to more places than the grocery store and school car rider line. This is for my fellow TMI loving friends and detail loving acquaintances. In October, I decided to get a job. A job outside of the home. I STILL run this business, Sweet Bytes, I am not quitting anything. I needed to get out of the house and I needed to cover the expenses that I took on when I ran Sweet Bytes as a bakery. So, I got a wild hair, found some openings at the library that fit my life perfectly and here I am. I am like that. Sometimes I just decide to do stuff and go do it. That freaks people out a little, but it’s OK. Doing new stuff and trying new things is good for you. In fact, If I find myself doing something I don’t want to do anymore, I go do something else. We only get to live this life one time, right? This particular move has raised a few eyebrows within my circle. Aren’t I an art teacher? Can’t I start baking for people again? Couldn’t I start teaching cake decorating classes? The answers to all those questions: yes. Simply put, I don’t know why I decided to do it. I saw the openings at the library, my intuition said, “Why not?” I said, “Hey, Rene, what do you think?” He said, “Why not? The worst that can happen is you’ll hate it and quit.” I said, “Yeah, you’re right…” Now I work at the library. 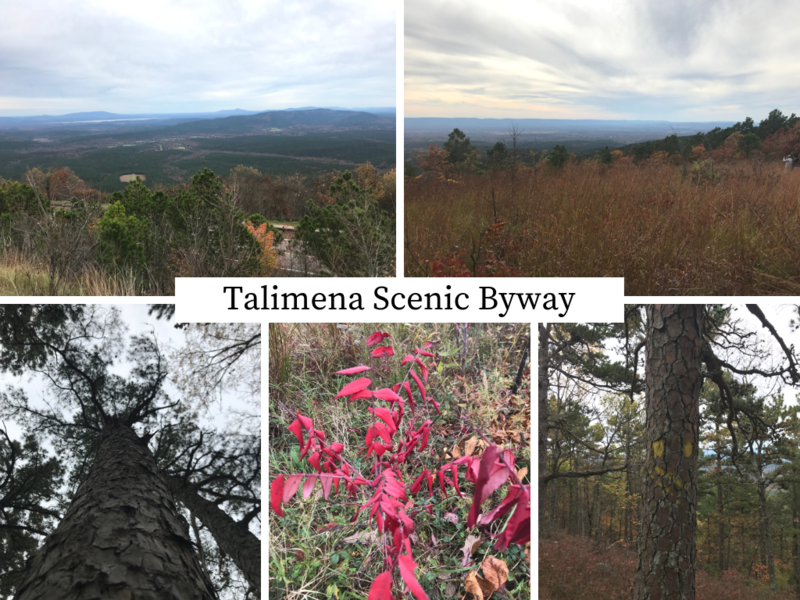 Aside from the library news, we finally made the drive to see the fall leaves on the Talimena National Scenic Byway! It was TOTALLY worth the drive and we had a really good day trip. We went on the peak viewing weekend (along with half of Oklahoma and Arkansas) so it wasn’t exactly a quiet venture into the woods. However, there are little paths and roads where one can cut off the beaten path and get some peace. I will say, that if you go and you DO cut off the beaten path, drive carefully. The back mountain roads are not for the faint of heart and are best suited for a four-wheel drive vehicle, lots of drop-offs, bumpy roads, and very narrow passes. Definitely, great views to be had though. I suppose you could just hike a trail and leave the car parked. That would probably be a little safer now that I think about it. I looked with my eyes more than my camera, but I got a few decent shots. It’s worth adding to your to-do list if you live within 4 hours of the trail. Wear hiking shoes, take snacks, drinks, and wet wipes. There aren’t a lot of urban life conveniences nearby and most of the amenities we saw were locked up or closed. Our Thanksgiving was very small and peaceful. All we did was eat and go to see Ralph Breaks the Internet, which was a great movie for the whole family. I liked it almost as well as the original, but you know, it’s hard to beat perfection. I hope that you had a really nice holiday. I’m EXTREMELY excited about Christmas this year. Are you? I haven’t even thought about presents. I’m just happy to see the Christmas lights, bake the cookies, hear the music, see the movies, etc. Every year I make a turkey pot pie with our leftover turkey. 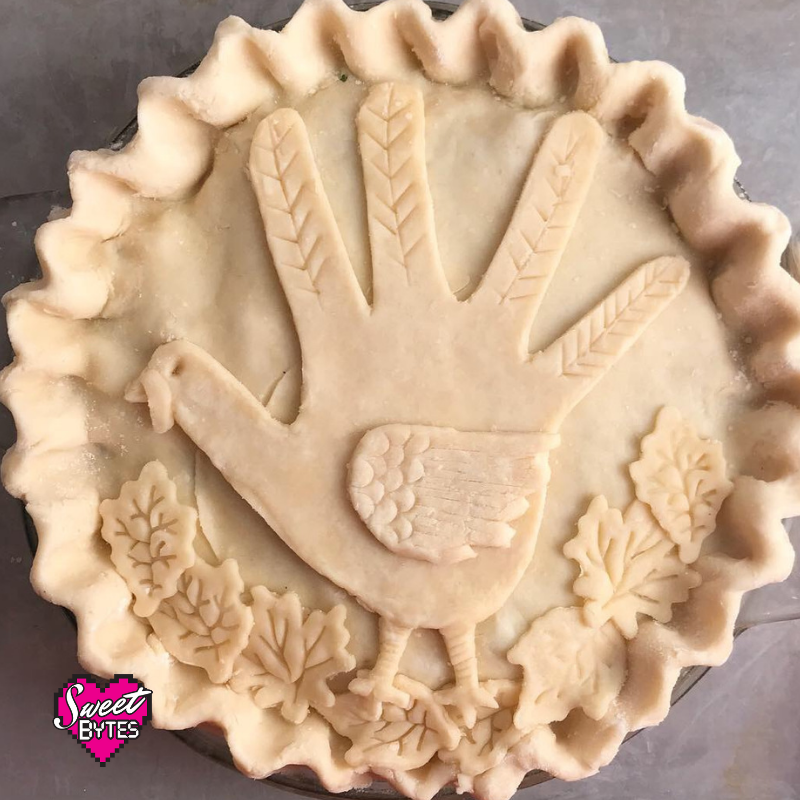 This year I made a Hand Turkey Pot Pie- I think it is a new tradition. I bet I love hand turkeys so much as sort of a rebellion against my classical art training- ha ha- that’s me, a rebel at heart. I am pretty happy with the amount of posts I made this month considering the new work schedule and all. Traffic to the website also increased A LOT, so that is very exciting. Tis the baking season ya now! Just keep swimming. Hope you find something useful in one of those articles. YAY! 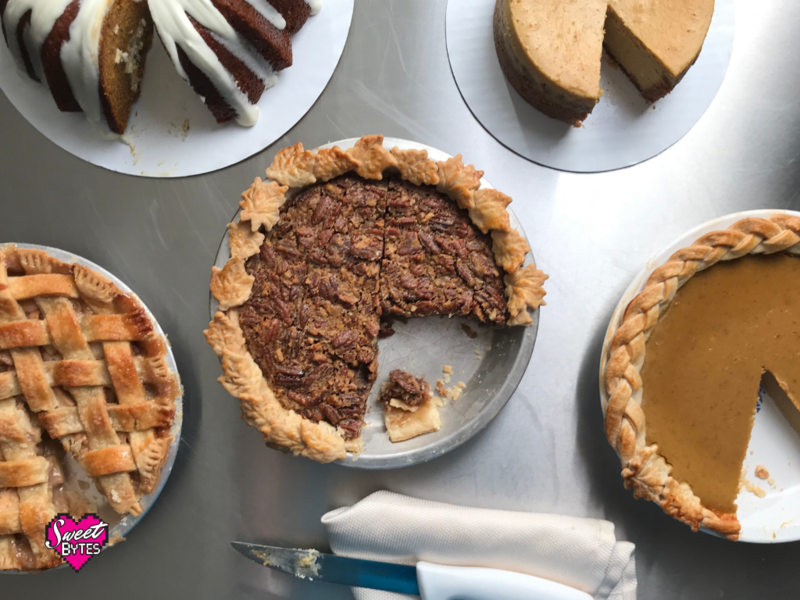 Let me know if there is something you’d like me to write about or if you have any baking questions!. Send me an email or sign up for the newsletter so we can stay in touch!